Firstly, you must confirm which version of MySQL on Ubuntu you are running as commands will be different. Keep note of your “Distrib”. In the above example, we are on MySQL 5.7. Keep note of this for later. In order to skip the grant tables and reset the root password, we must first stop the MySQL service. Ensure the directory /var/run/mysqld exists and correct owner set. Now start MySQL with the --skip-grant-tables option. The & is required here. [email protected]:~$ 2019-02-12T11:15:59.872516Z mysqld_safe Logging to syslog. 2019-02-12T11:15:59.879527Z mysqld_safe Logging to '/var/log/mysql/error.log'. You may need to press ENTER to return to the Linux BASH prompt. 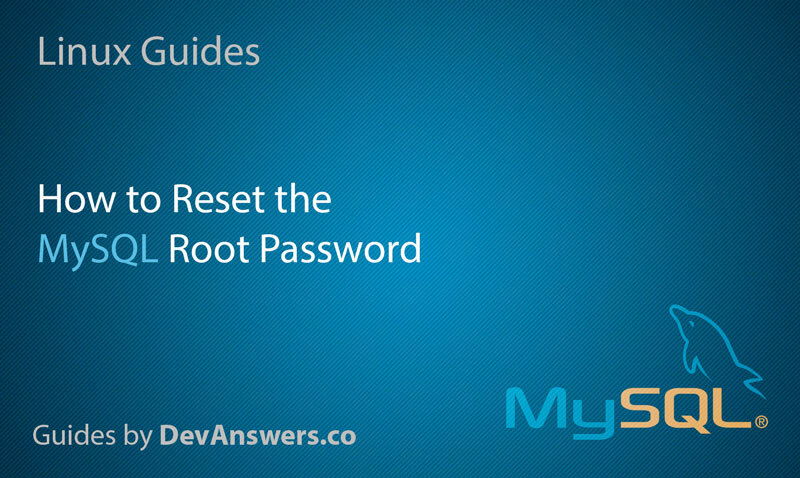 You can now log in to the MySQL root account without a password. Once logged in, you will see the mysql> prompt. Make sure all MySQL processes are stopped before starting the service again. Log in to MySQL again and you should now be prompted for a password. Its works fine for me.